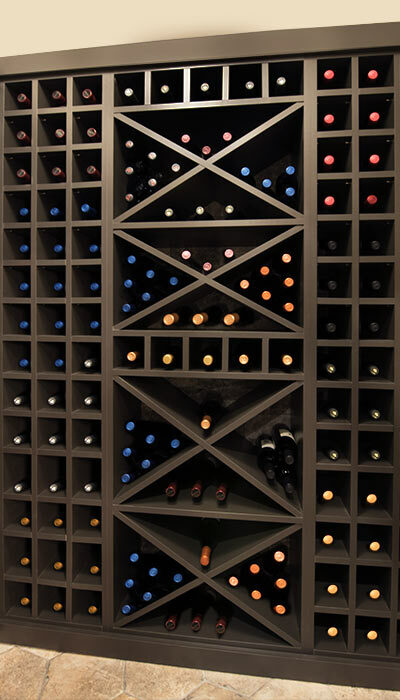 With two wine connoisseurs in the family who have a penchant for frequent entertaining, turning an unused corner in the lower level of their home into a custom wine storage room proved to be a great investment. 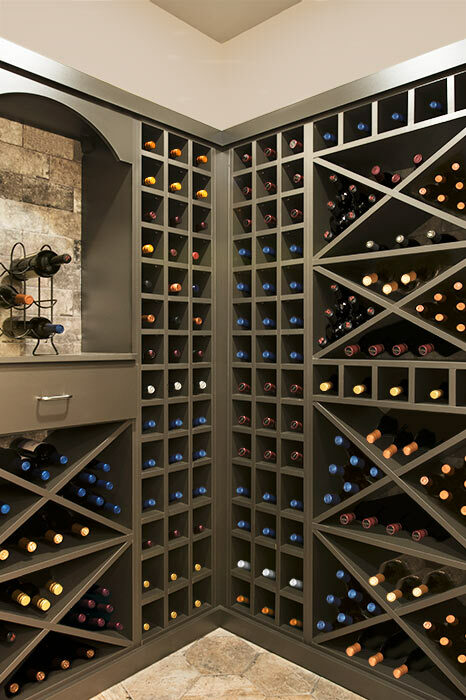 Custom built to fit an odd, triangular shaped room and installed under a soffit, floor to ceiling bottle cubes and storage cubbies maximize the amount of available storage in this home wine cellar. 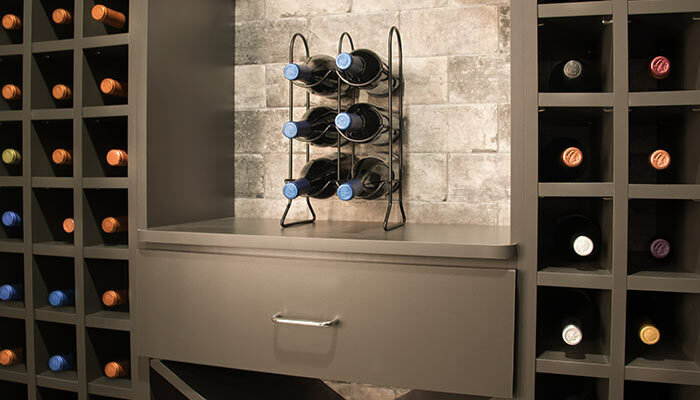 The slate laminate finish compliments the natural stone floor and walls with an old world European aesthetic — it's like entering the storehouse of a king's castle. 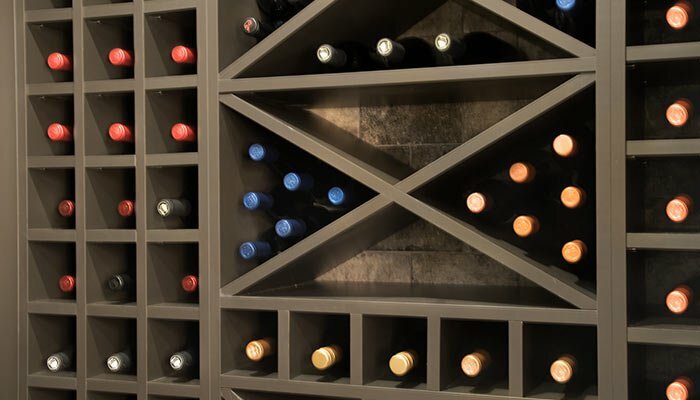 Holding a minimum of 482 standard size bottles of fine champagne and wine, it is tuly a treasure trove of epicurean delights. 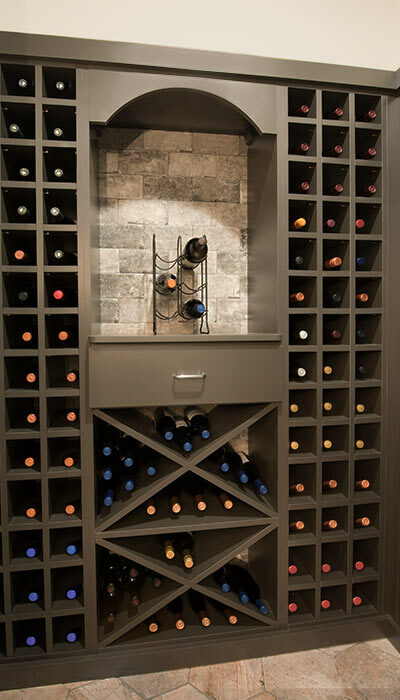 Even more important than the beauty and storage capability of this system was constructing it with child safety in mind. 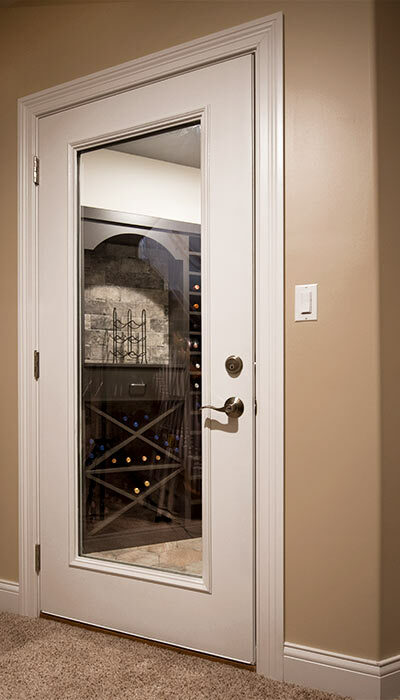 The door to this wine room is equipped with a high quality lock, however, it was also important to ensure that if a small child ever did accidentally get in and try to climb the wall, this wine unit will not tip over. As a completely floor based system with no suspended components, it is designed to be held up by gravity, but an additional hidden steel rail that is secured to the wall studs every 18 inches was used to make sure it can never fall on a child. This safety feature is standard practice at Closet Works.